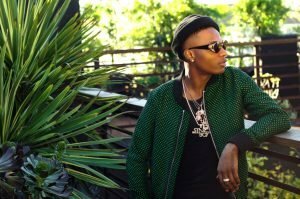 Nigerian music star, Wizkid released his summer mixtape “Sounds From The Other Side” on Friday. The tape, which consists 12 tracks features Chris Brown, Drake, Trey Songz, TY Dolla Sign, Bucie and Major Lazer. The singer who was lately awarded Best International Act Africa at the BET Awards 2017, has been building up to the release of this tape with his several media rounds across the UK and US. He has equally held two listening parties for the mixtape, which were well received by attended fans. According to the singer, “Sounds From The Other Side” serves as a prequel to his third full length album. chris brown,Drake,Trey Songz,Featured,Nigerian music star Wizkid,TY Dolla Sign,Bucie,Major Lazer,"Sounds From The Other Side"